Peanuts fans living in Northern California — or those expected to visit later this month — will want to check out a cool event taking place at 1 p.m. Saturday, February 25, at Santa Rosa’s Charles M. Schulz Museum. The topic: BOOM! Studios’ new Peanuts comic book, with how-to-draw workshops, a panel discussion and comic book signing with creators Paige Braddock (Jane's World), Shane Houghton (Reed Gunther), Matt Whitlock (Family Guy), Lex Fajardo (Kid Beowulf), Vicki Scott (Peanuts illustrator), and Justin Thompson (MythTickle). These programs are free with the price of Museum admission. The creative talents cited above will give an illustrated, behind-the-scenes look at the process, to show how new Peanuts stories and artwork are being developed. The presentation will be followed by a comic book signing and workshops on how to draw your own Peanuts characters, with Whitlock and Scott. The second issue of BOOM! 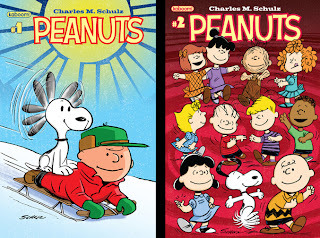 Studios’ new Peanuts comic arrived this week, following January’s first issue, and a preview “zero issue” late last year. 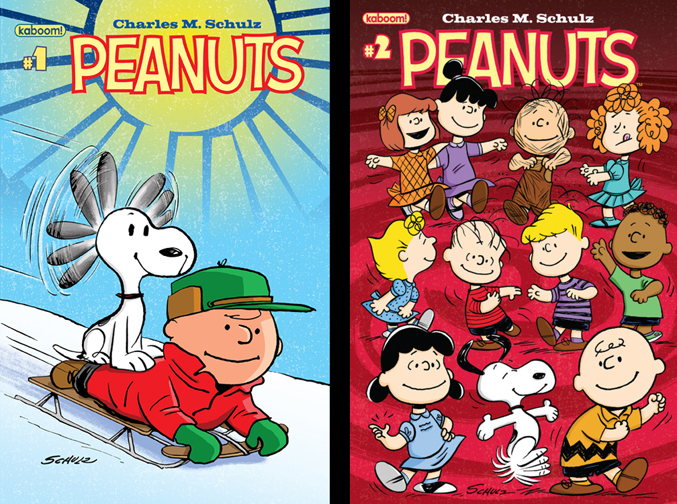 The book blends original stories with classic Peanuts Sunday strips by Charles M. Schulz; the new material is by Scott, Houghton and Whitlock. The Charles M. Schulz Museum is located 50 minutes north of San Francisco (by car) on Highway 101. The address is 2301 Hardies Lane, Santa Rosa; for additional information, visit www.SchulzMuseum.org.